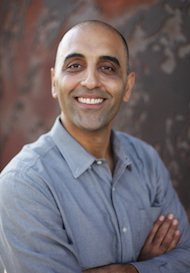 Pedram Shojai is a doctor of oriental medicine, author, teacher and filmmaker, and former Taoist monk. He’s the founder of well.org, and host of the podcast, The Urban Monk. And he’s working on a new film series called, “Interconnected,” which is about the microbiome — the many bacteria and other microorganisms that make our bodies their home.